Apple's mobile payment service has been nicely expanding across the United States, although it's been introduced in some European countries as well. To make Apple Pay even more appealing, the Cupertino company is now running a promotion that offers exclusive discounts on various shops. 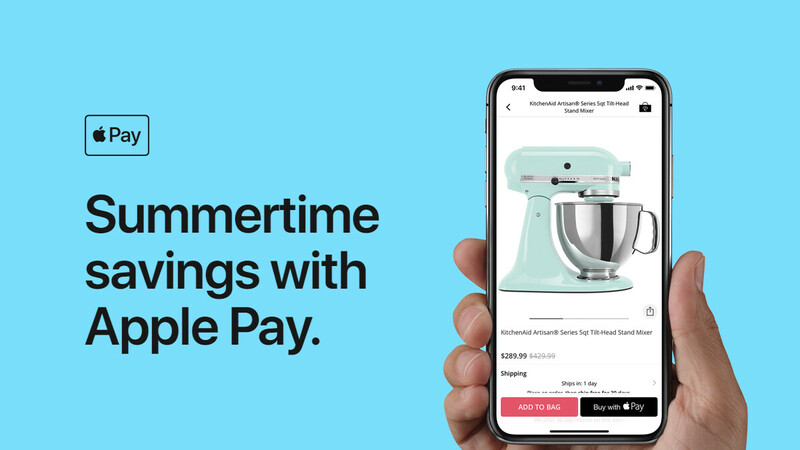 The Apple Pay Summertime promotion kicked off on July 19 and runs through August 1. It's also worth mentioning that the offers revealed today by Apple, and listed below, are only available in the United States. Keep in mind that you'll have to buy items using Apple Pay in the partners' apps in order to take advantage of the discounts available. Naturally, you can either use your iPhone/iPad to shop or a MacBook Pro with Touch Bar and Touch ID.